Shelf stable, human-strain probiotics to help replenish intestinal flora and promote overall digestive and immune health. Digestion is all about balance. Careful nutritional support on your part will help you maintain proper digestive functions for your health. 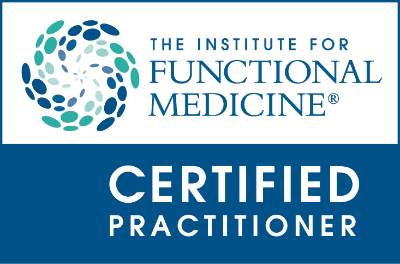 A big part of this balance involves the levels of beneficial bacteria in the GI tract. 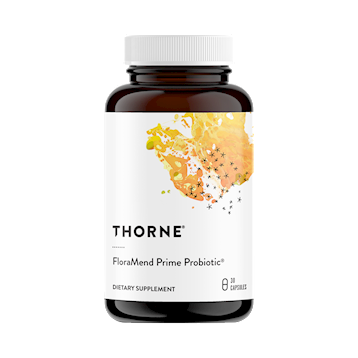 FloraMend Prime Probiotic from Thorne Research provides human-strain probiotics that may help restore balance to gastrointestinal microflora. This includes strains of Lactobacillus gasseri‚ Bifidobacterium longum‚ and Bifidobacterium bifidum. Aside from aiding with digestion‚ these strains could potentially help promote appropriate immune responses. Supplementing these helpful forms of bacteria may also help you cut down on the population of harmful stomach bacteria. This formulation is delivered in acid-resistant capsules to ensure proper absorption. FloraMend Prime Probiotic from Thorne Research is dairy free‚ allergen free‚ and contains no artificial additives or preservatives. Order with PureFormulas today and help restore proper balance to your digestive system! Remember‚ we offer free shipping and the best customer service around! These statements have not been evaluated by the Food and Drug Administration (FDA). These products are not meant to diagnose‚ treat or cure any disease or medical condition. Please consult your doctor before starting any exercise or nutritional supplement program or before using these or any product during pregnancy or if you have a serious medical condition. Take 1 capsules daily with a meal or as recommended by your healthcare practitioner.